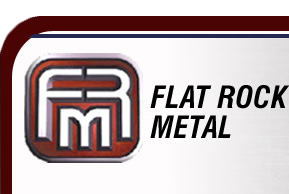 January 2014 - Flat Rock Metal, Inc. is pleased to announce the start-up of our new affiliate company; Custom Coating Technologies, Inc. Custom Coating Technologies, Inc. is a new company focused on the painting of flat metal sheets for the automotive, appliance, general building and construction, energy, aerospace, and military markets with innovative niche solvent and water borne coatings. Our new paint line has specialized equipment for preparing and treating metal sheets prior to painting. Equipment for preparing the metal for painting includes a four stage washer and a dry in place roll coater. Specialized paint application equipment on the line includes a direct/reverse roll coater, curtain coater, and a spray cabinet designed for flat horizontal sheets. Both water borne and solvent borne coatings may be applied using this equipment. Once the coating(s) have been applied to a metal sheet, they are cured or dried in a single stage oven. - Flexible coating designed for prepaint applications (prior to forming/stamping). - Excellent adhesion to pretreated cold rolled steel. - Can be applied in one coat up to a dry film build of 3.5 mills (0.0035 inches). - Can withstand an electrocoat application and bake process. - Passes 500 hrs. ASTM B117 salt spray. No face blistering, no scribe creep, no adhesion loss. - Passes 66 hrs. ASTM B368 CASS. No face blistering, no scribe creep, no adhesion loss. Custom Coating Technologies is equipped with a state of the art paint development and QC laboratory for the development of coatings to meet the specific needs and demands of our customers.